Helen DeWitt has had a rough ride with publishers. Apparently, her debut novel, The Last Samurai, was her fiftieth manuscript. After two years in the wilderness, it was first published in 2000 in the United States by a contemporary of the author’s. They were at Oxford together, but never met. According to an interview with DeWitt, after protracted deliberations, this editor turned down the new book. Another novel, Your Name Here, was released for sale on the author’s website as a PDF. For all this painful history, The Last Samurai has been championed by a number of writers, from Zadie Smith to A.S. Byatt, who said that it was a ‘genuinely new form, which has more to offer on every reading’. 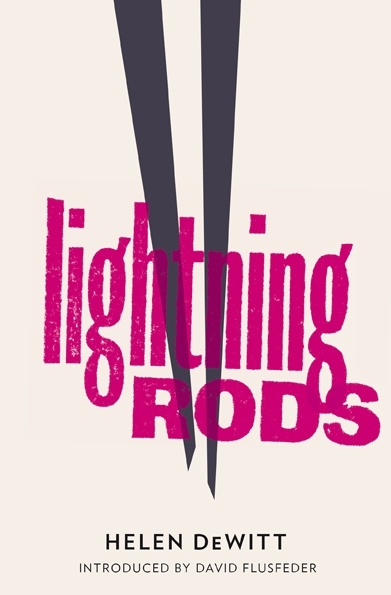 Almost a decade later, Lightning Rods has struck. Compared with that epic first novel, it is short and sharp and satirical. The author Anthony Holden compares DeWitt with Orwell and Swift. It is the idea of ‘thinking the unthinkable’. Swift in his A Modest Proposal suggested that poor Irish might solve their economic woes by selling their children to the rich to eat. Helen DeWitt has set herself a harder task by attempting to take an aggressive poke at sexual mores and corporate America in fictional form. However witty and observant, Lightning Rods is a one-joke novel – overextended at 200 pages. Mel Brooks, whom DeWitt admires, in his The Producers prime might have made this story work with actors of genius and a few songs. However, as a novel, Lightning Rods fizzles out. But I have no doubt that this fiery author will return with something to amaze, challenge and delight.